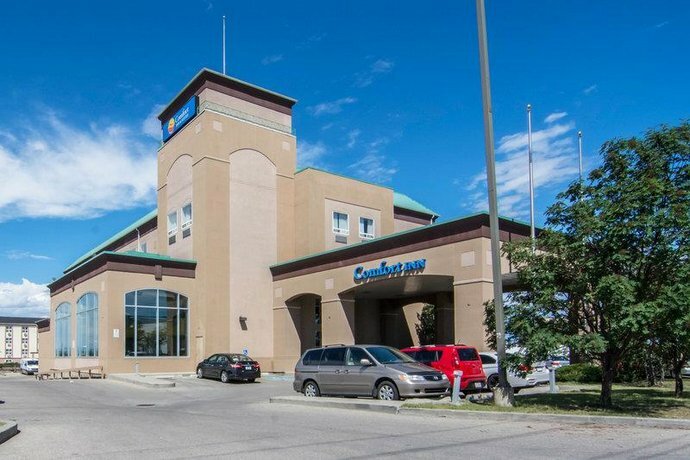 Located approximately a 15 minute drive from Calgary International Airport (YYC), this hotel is popular with business travellers, and with guests who need quick and easy access to the airport. 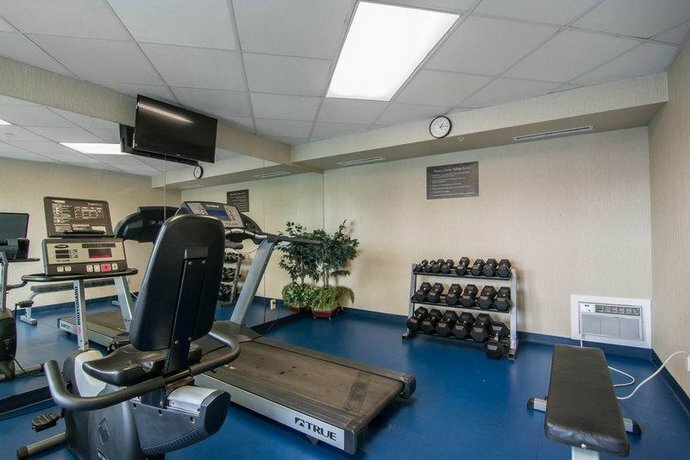 On-site amenities include an indoor heated pool, a waterslide, a sauna, a hot tub and a gym. 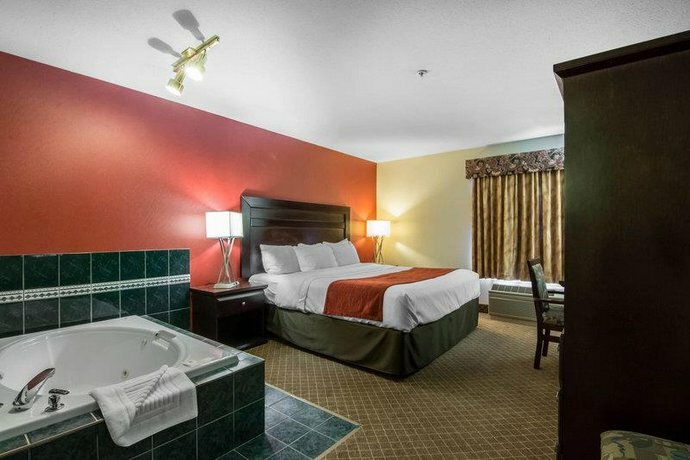 Guests can choose from a number of different room types at this 74 room hotel, including Standard rooms or Suites (some of which have a separate bedroom, a whirlpool bathtub and a kitchenette). 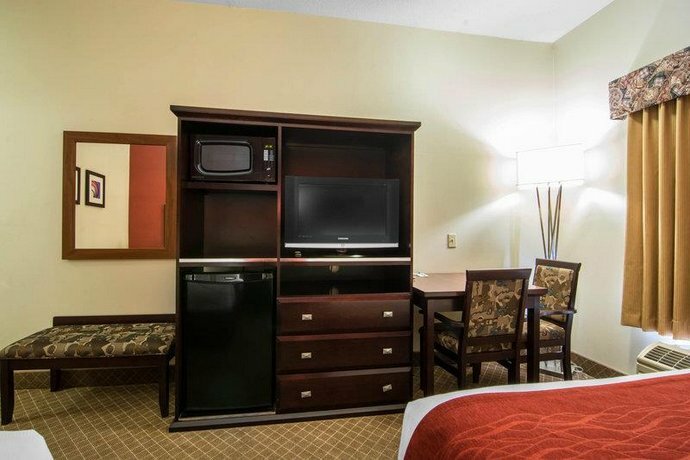 In all rooms, guests can expect Wi-Fi, a hair dryer, an iron and an ironing board, voicemail and a coffeemaker. 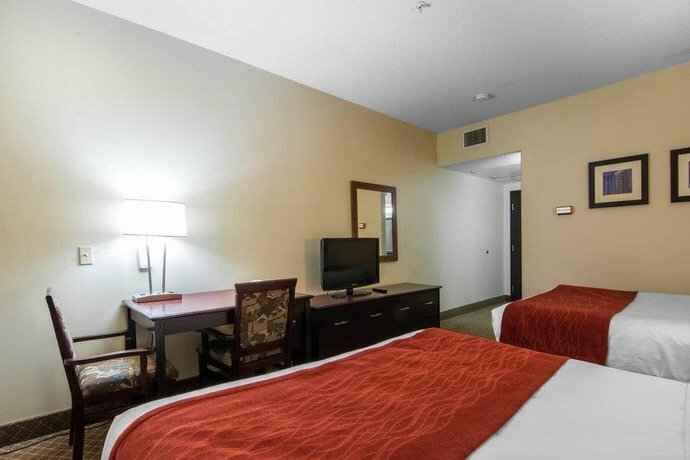 Parking is offered free of charge on site, and pets are not permitted at this hotel. 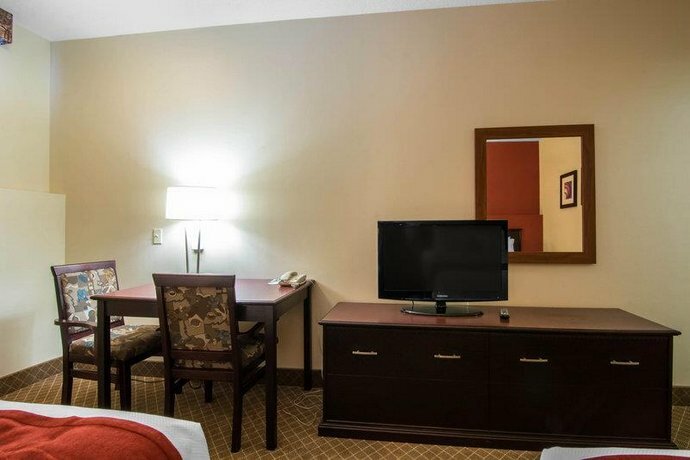 Guests can also take advantage of a complimentary airport shuttle that runs based on guests' request, daily (nearly 24 hours a day) from 3:30am all the way to 2:00am. 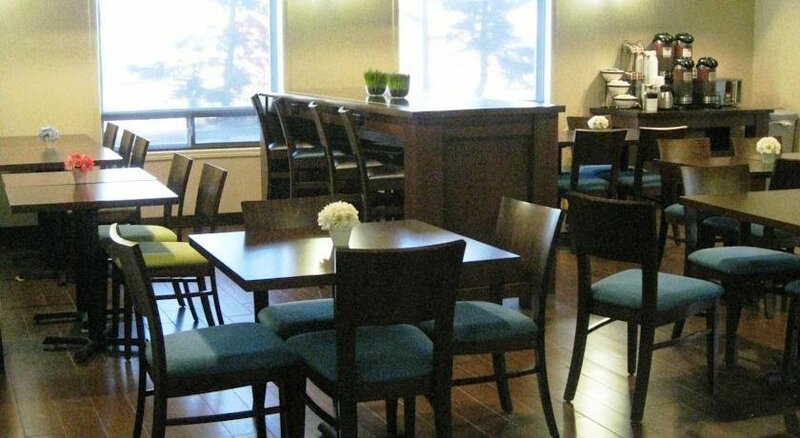 There is no dining on site, but guests are offered a complimentary hot breakfast daily. For guests looking to visit some of Calgary's attractions, access to a vehicle is necessary. Calgary Zoo is about a 13 minute drive away. The downtown area, as well as a cluster of attractions including the Stampede Corral and the Calgary Tower are all drivable in about 20 minutes (distances and driving time estimates: Google Maps). 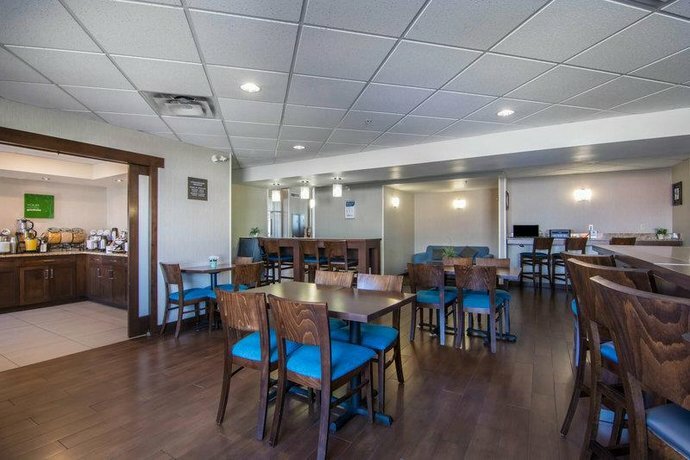 There were several factors at play for guests who had a positive experience at this hotel, among them convenient location, and appreciation for the free hot breakfast. 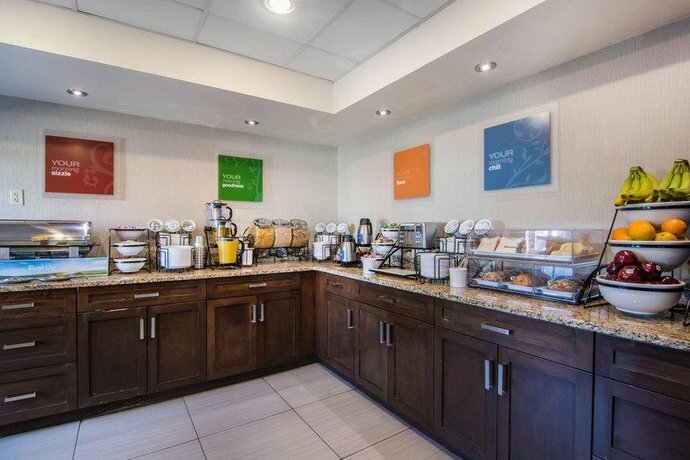 There were several mentions from guests about the quality and the selection available at the complimentary hot breakfast. Comments like "nice hot breakfast" and "a lot of options for breakfast" surfaced. 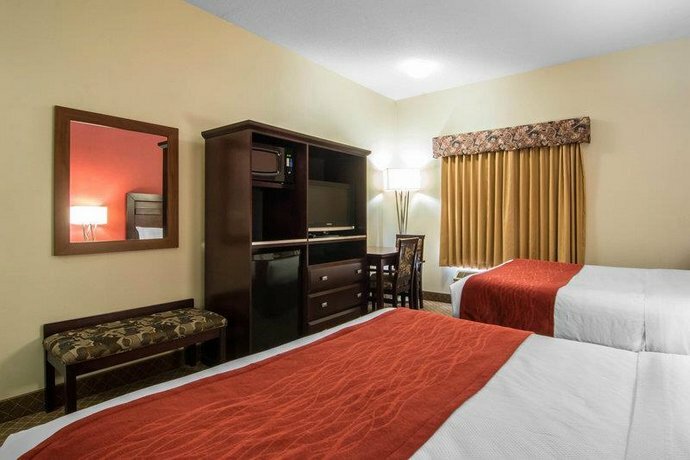 Staff here were friendly and helpful, according to guests, and followed up with guests to ensure that their experience was satisfactory. 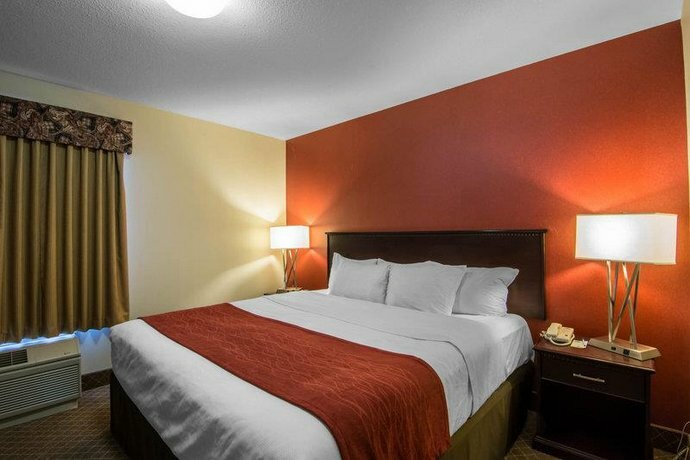 Rooms were clean, comfortable and well appointed, according to a number of guests. 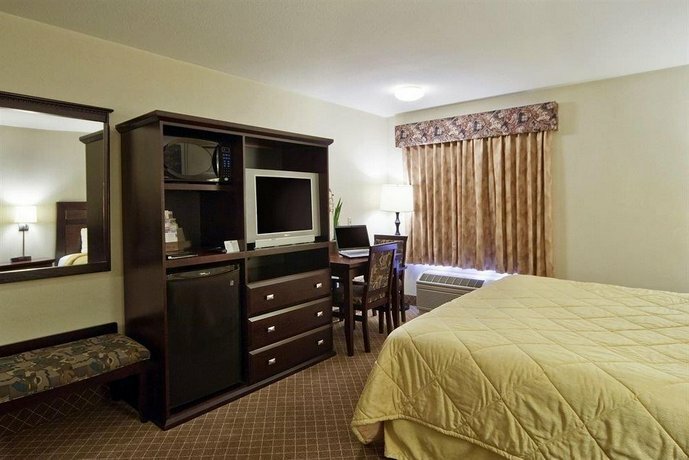 Location was another positive factor for guests, who appreciated being so close to the airport. Guests also appreciated the convenience of having a complimentary airport shuttle to use. 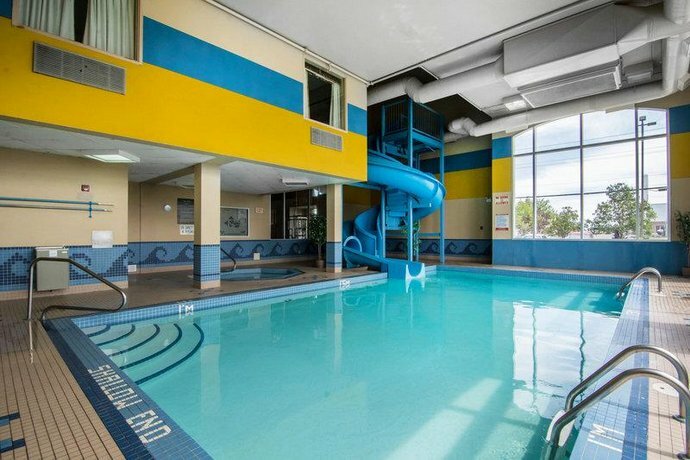 There were some peripheral comments from guests who enjoyed the pool, the waterslide and the sauna. 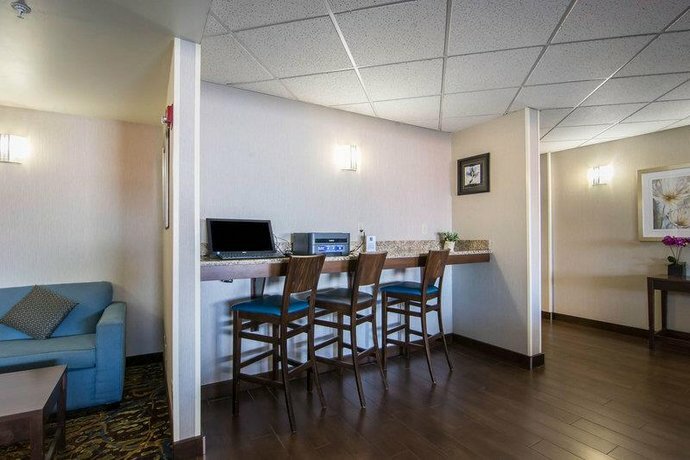 Although many of the comments used for this analysis were favourable, there were some common points among guest complaints, including ageing hotel decor and a few problems with items in the rooms themselves. 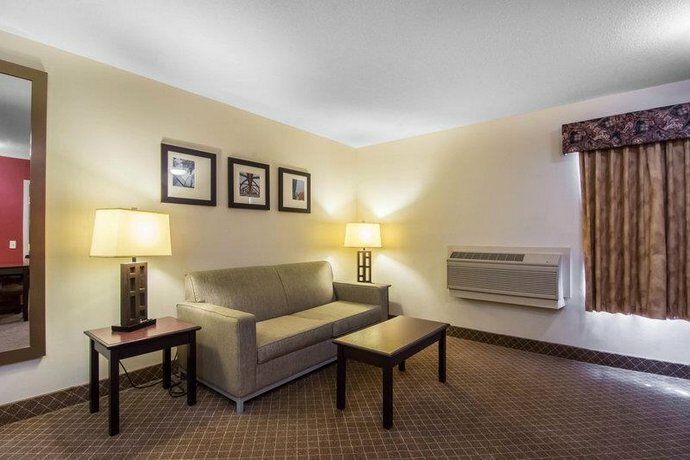 Guests mentioned frequently that the decor in this hotel was ageing, and in need of updates. 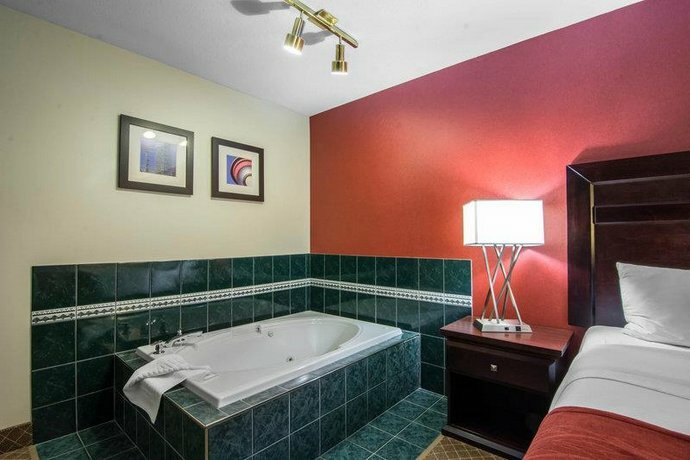 Phrases like "needs modernizing", "rooms are old and run down" and "decor is dated", were reflective of guest sentiment. 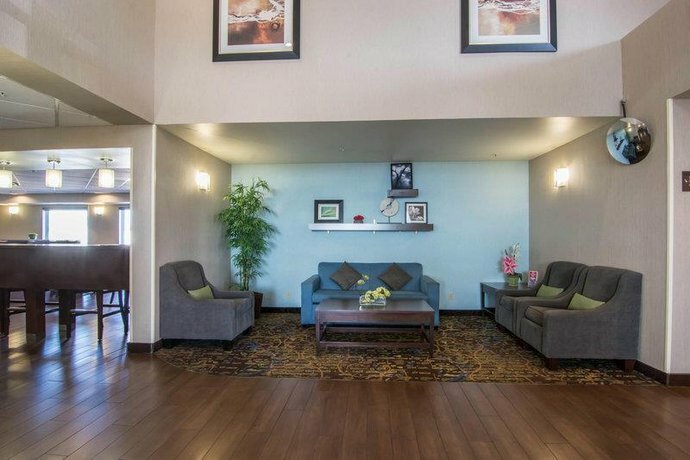 Guests commented on peeling paint, thin towels and worn carpets. 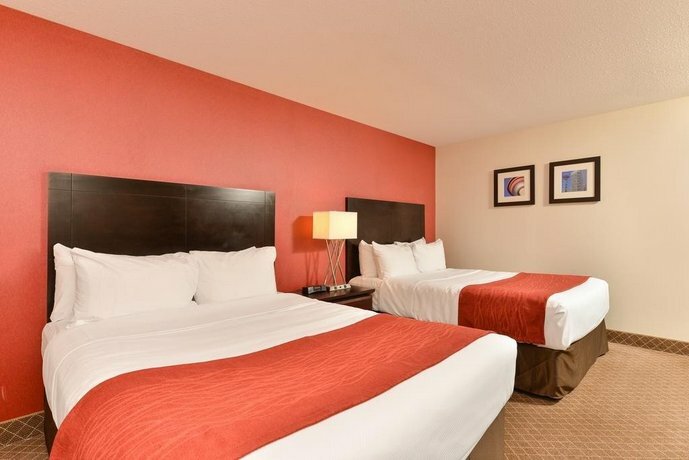 While a number of guests indicated that rooms at this hotel were clean and comfortable, a number of other guests had some issues with some items in the rooms, including hair dryers that didn't work, and poor water pressure. There were some peripheral comments on things like uncomfortable beds and thin walls between rooms. 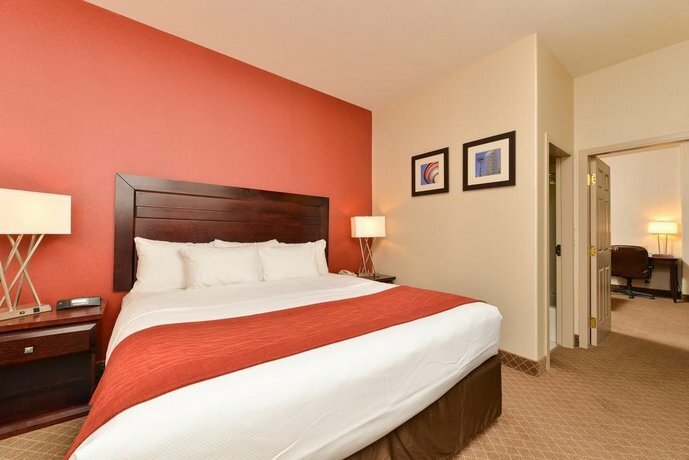 Confirmed with a front desk agent: Wi-Fi, shuttle, parking, breakfast (call date: July 10, 2012). 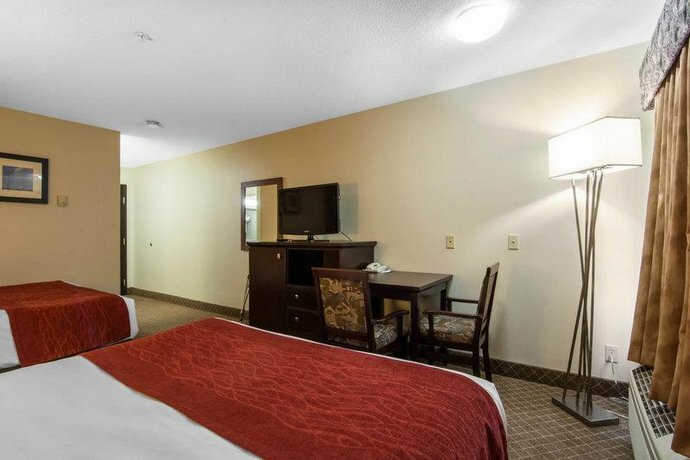 TripAdvisor.com guest reviewers ranked this hotel #67 out of 97 Calgary hotels, based on 56 reviews. 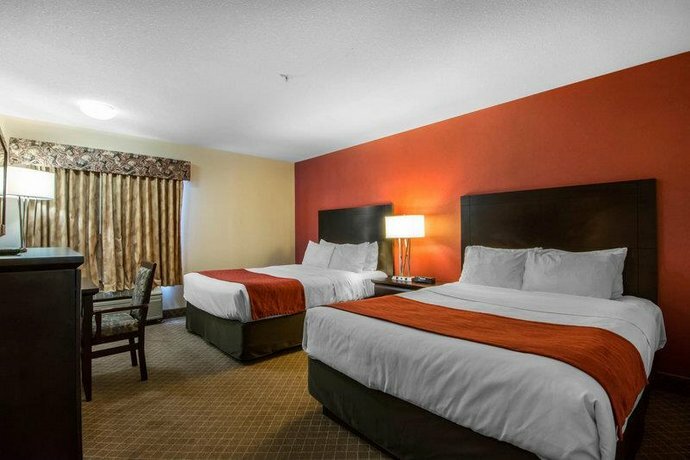 Orbitz.com guest reviewers rated this hotel 2.8 out of 5, based on 6 reviews. 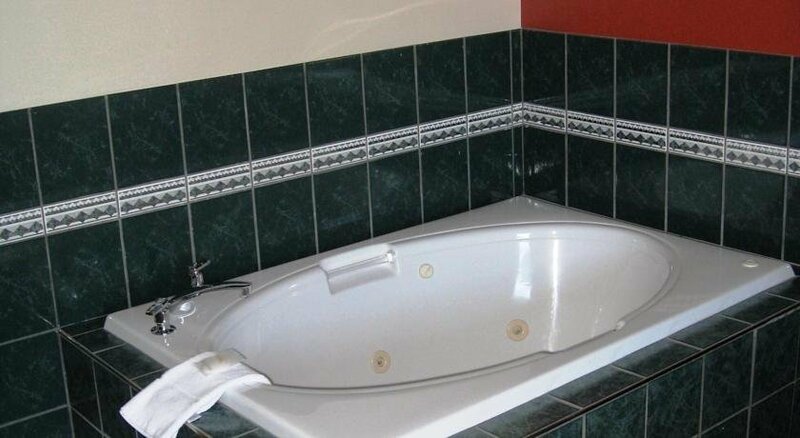 50% of guests would recommend this hotel. 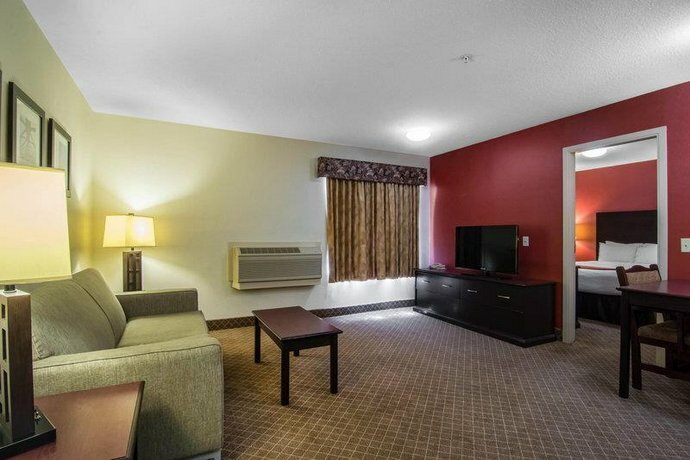 Expedia.ca guest reviewers rated this hotel 3.8 out of 5, based on 38 reviews. 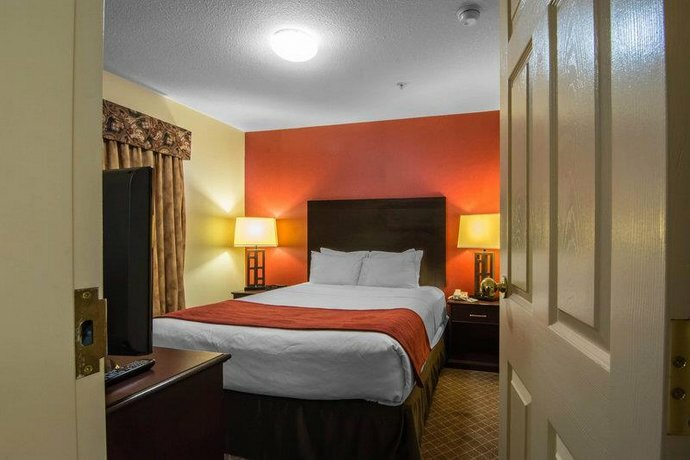 89% of guests would recommend this hotel. 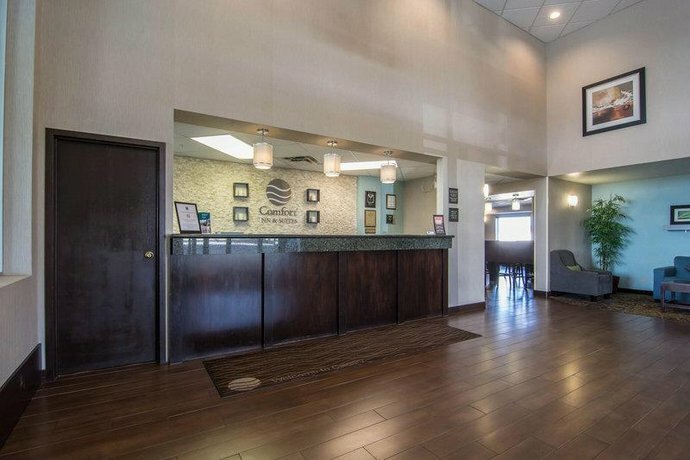 The average guest rating for Comfort Inn & Suites Airport South is 7.7 out of 10 based on 2823 reviews from past guests. 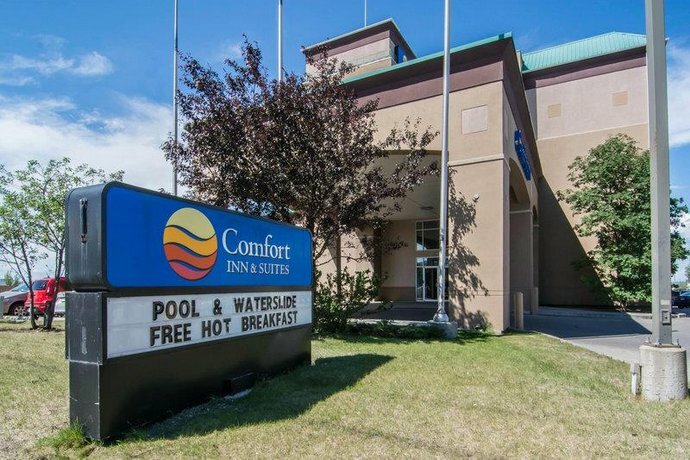 This average guest rating ranks Comfort Inn & Suites Airport South at #60 out of 77 hotels in Calgary.